Being married to an actress I've become acutely aware of how the theater world is so heavily skewed towards men. A man can spend his entire career just performing Shakespeare and have great parts -- from Hamlet to Lear with Macbeth in between your career can be made without even changing authors. The most you can hope for as a woman in Shakespeare is to be an "and" -- "and Juliet", "and Cleopatra" ... so as trillian_stars' career has grown so much since I've met her I've seen the frustration of "what do I do next?" -- How many times can you play Lady MacBeth? (I think it's three right now). There are roles in classic theater that are every bit as good as Hamlet or Willy Loman, it's just that there are so few of them and they're almost never performed. I've seen Trillian list the roles that she wants to play and, over the years, I've watched her tick them off, Nora Helmer, Hedda Gabler, Medea .... and those that are left become precious few. I'm so happy that she's found a great group of actors at Hedgerow Theater who have taken it upon themselves to tackle a lot of these plays. I might not have blogged about it before -- but it's the four main actors from Hedda Gabler who have formed a group they call "The Core Four" and they've agreed to do four plays a year for three years, each play features all of the actors, and everybody gets a chance to do some of the great roles they've always wanted to tackle. So sometimes Trillian's a big of background like in His Girl Friday where she played a dozen people (although I must say, some of them were amazing) and Jessica DalCanton (who played Thea in Hedda Gabler had a chance to shine, and then Trillian's Medea and ... well, anyway, they're doing Checkhov's Three Sisters next. They'd done Uncle Vanya last year and I was surprised how funny it was as well as pathetic (in the sense that it inspired pathos) -- it was so complex and filled with great, sweeping emotional parts. 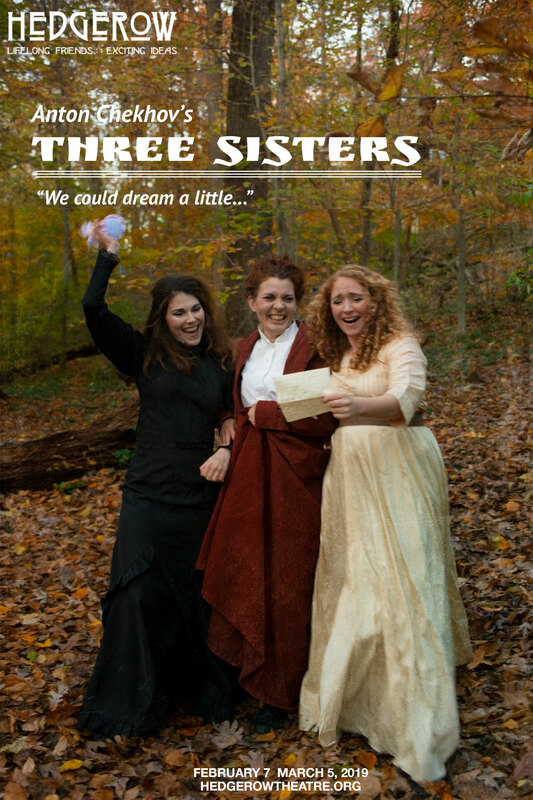 I"m excited about their Three Sisters. Three Sisters. Clickenzee to Embiggen Them. She should do In the Next Room, it's a fantastic work for women!